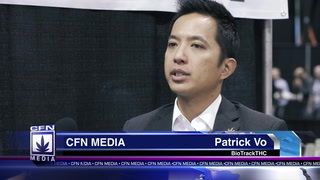 CFN Media interviews Integrative Health Products VP of Sales and Corporate Development, Joshua Farmer, at NCIA 2019 in Boston, MA. 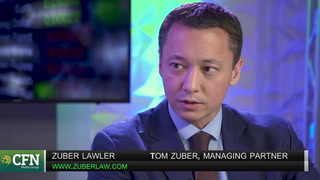 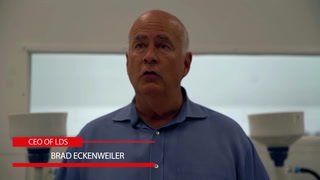 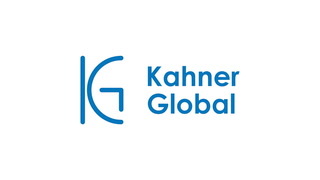 CFN Media interviews Tom Zuber, Managing Partner of Zuber Lawler in Los Angeles, CA. 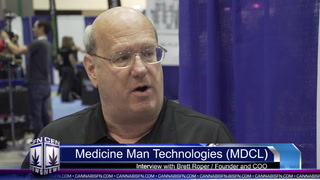 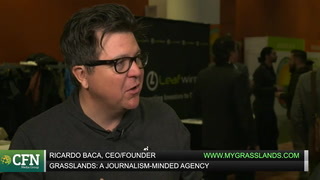 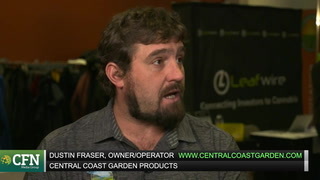 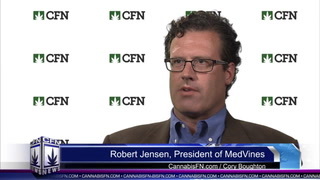 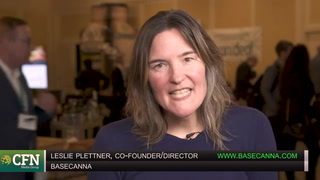 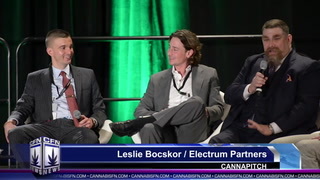 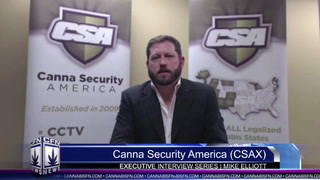 CFN Media interviews BaseCanna Director Leslie Plettner at Arcview 2019 in Santa Monica, CA. 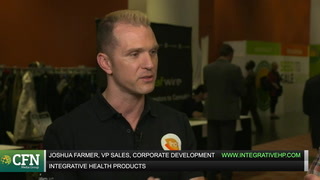 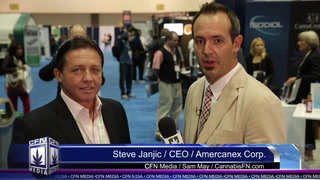 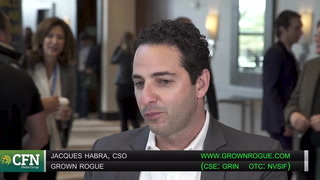 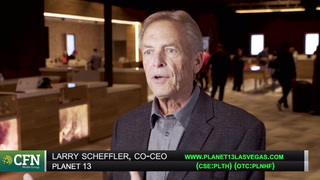 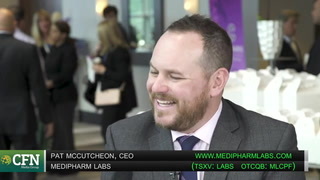 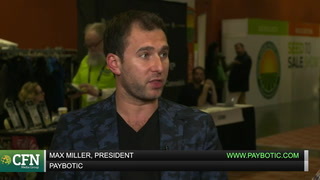 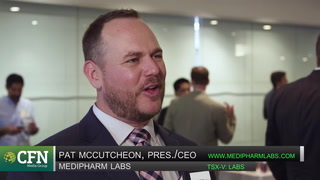 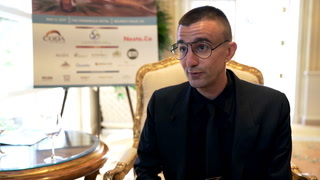 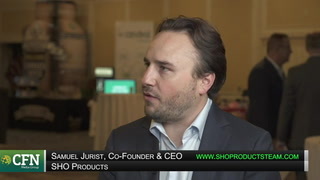 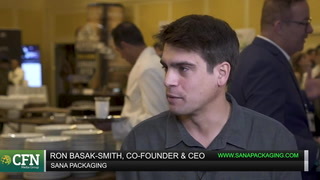 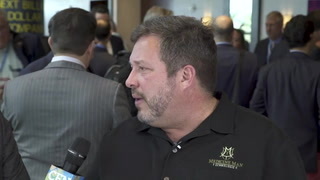 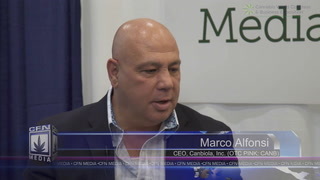 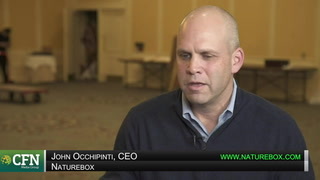 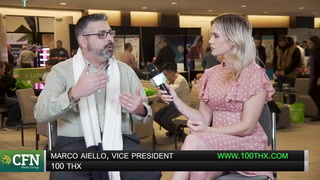 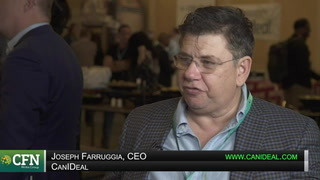 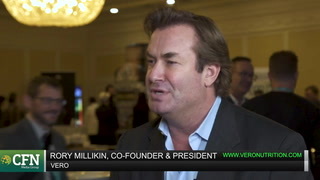 CFN Media interviews NatureBox CEO John Occhipinti at Arcview 2019 in Santa Monica, CA. 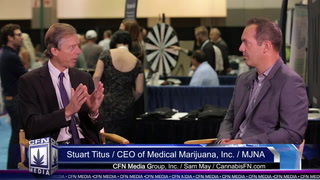 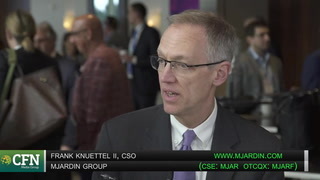 CFN Media Interviews MJIC CEO Sturges Karban at Arcview 2019 in Santa Monica. 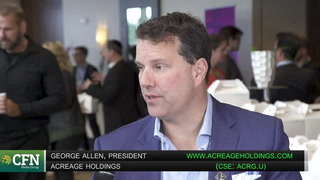 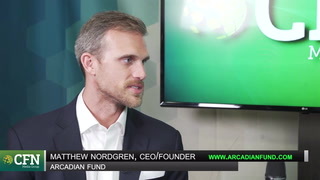 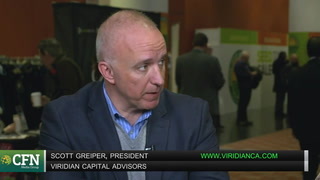 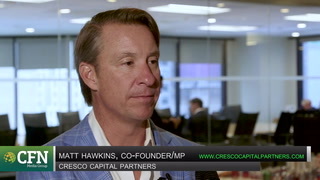 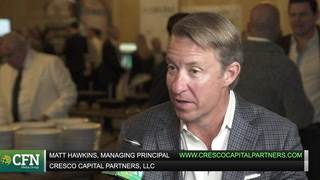 CFN Media Interviews Cresco Capital Partners Managing Partner Matt Hawkins at Arcview 2019 in Santa Monica. 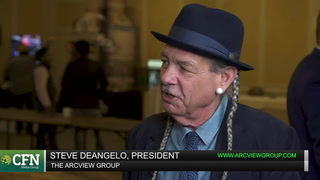 CFN Media Interviews Arcview Group President Steven D'Angelo at Arcview 2019 in Santa Monica. 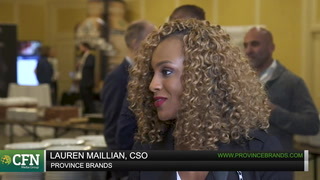 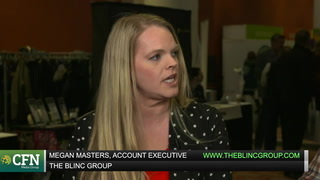 CFN Media Interviews Province Brands CSO Lauren Maillian at Arcview 2019 in Santa Monica. 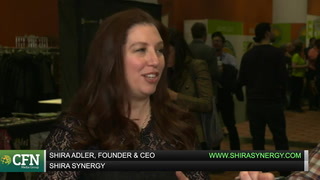 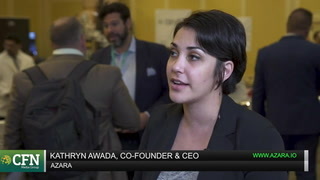 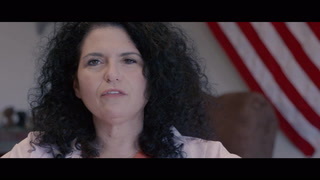 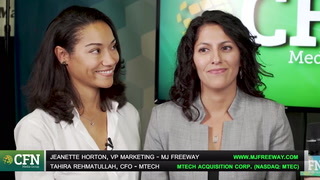 CFN Media Interviews Azara Co-Founder & CEO Kathryn Awada at Arcview 2019 in Santa Monica. 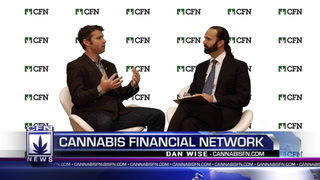 CFN Media interviews One Cannabis Founder & CEO Christian Hageseth at MJBizCon 2018. 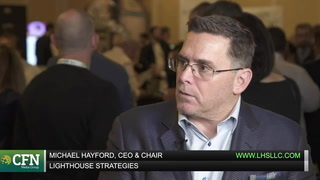 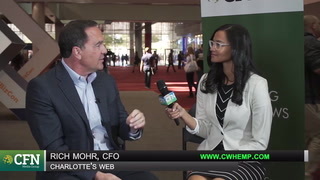 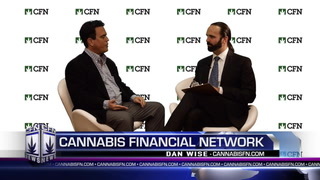 CFN Media interviews Lighthouse Strategies CEO and Chair Michael Hayford at Arcview 2019. 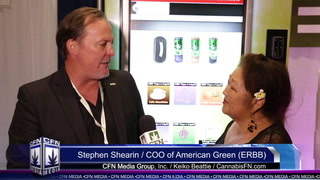 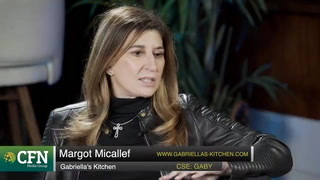 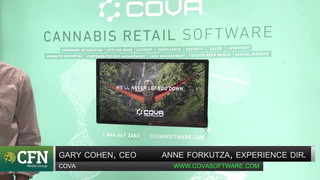 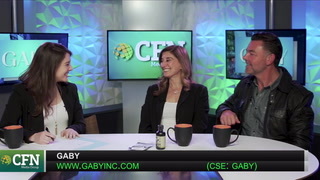 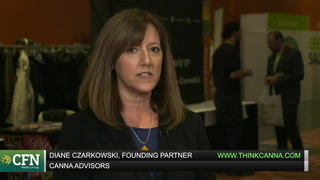 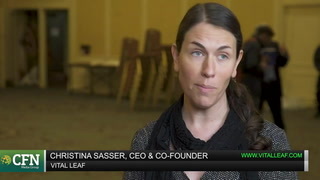 CFN Media interviews Vital Leaf CEO & Co-Founder Christina Sasser at Arcview Santa Monica 2019. 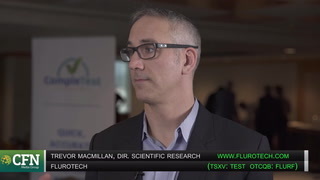 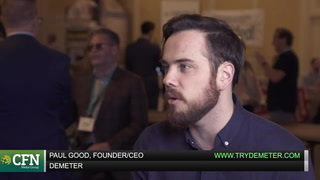 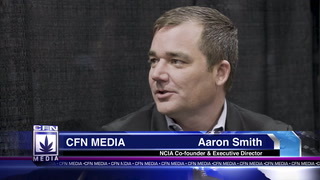 CFN Media interviews Troy Dayton, CEO & Co-Founder of the Arcview Group at Arcview 2019. 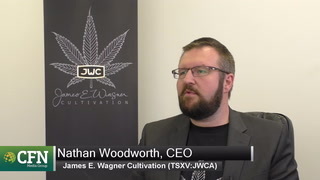 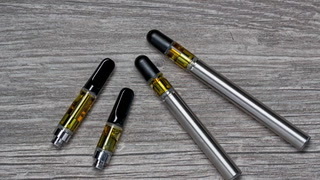 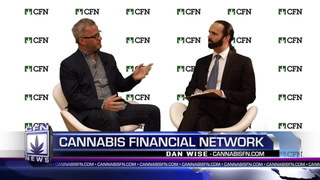 CFN Media interviews Patrick O'Malley, CEO of the OG Reefer Co., at Arcview in Santa Monica, CA in February 2019. 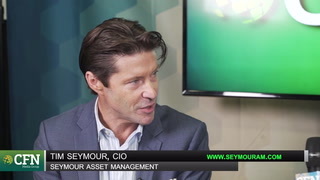 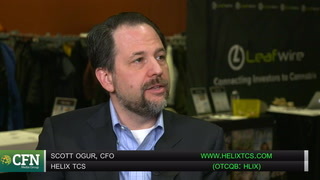 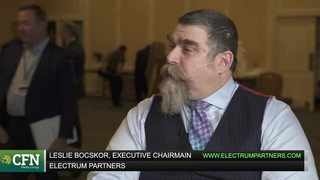 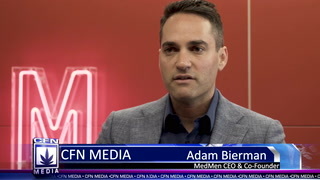 CFN Media interviews Leslie Bocskor, Executive Chairman of Electrum Partners at Arcview in Santa Monica, CA in February 2019. 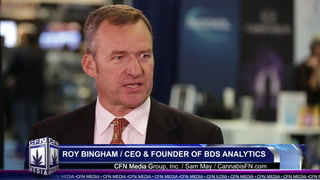 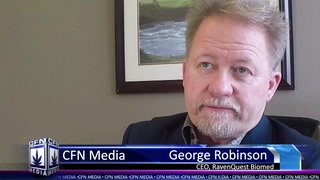 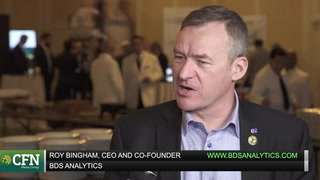 CFN Media interviews BDS Analytics CEO & Co-Founder Roy Bingham at Arcview in Santa Monica, CA in February 2019. 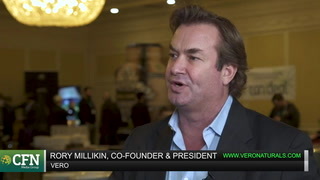 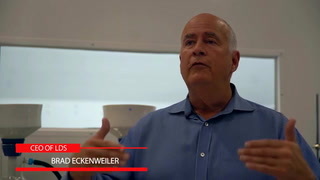 CFN Media interviews Vero Nutrition Co-Founder and President Rory Millikin at Arcview in Santa Monica, CA in February 2019. 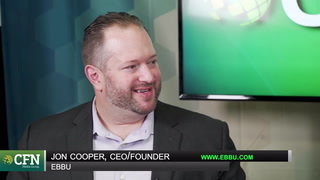 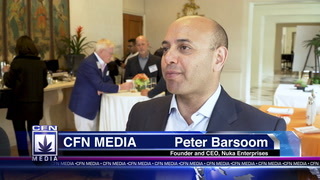 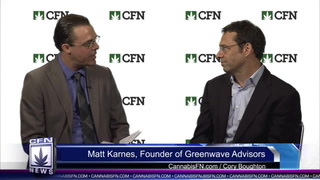 CFN Media interviews Burb Co-Founder and CEO John Kaye at Arcview in Santa Monica, CA in February 2019. 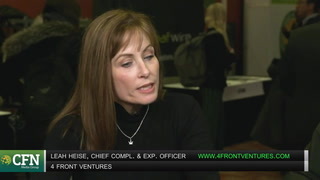 CFN Media interviews 4 Front Ventures Leah Heise at the Boston NCIA Conference in 2019. 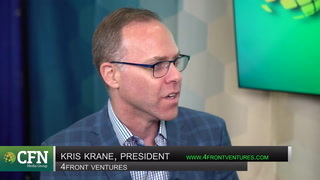 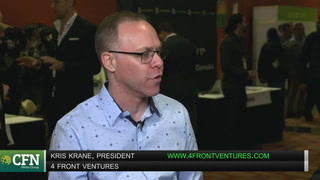 CFN Media interviews 4 Front Ventures President Kris Krane at the Boston NCIA Conference in 2019. 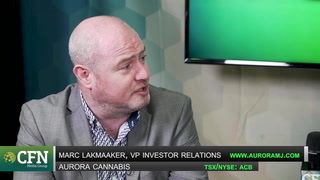 CFN Media interviews Marc Lakmaaker, VP of Investor Relations for Aurora Cannabis Inc. (TSX/NYSE: ACB). 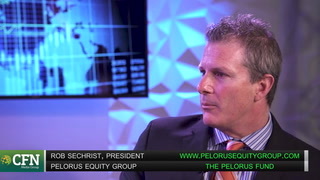 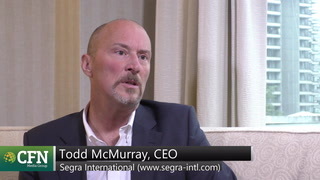 CFN Media interviews Pelorus Equity Group President Rob Sechrist. 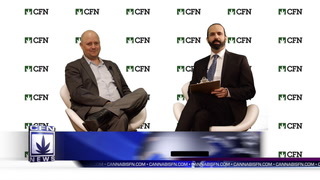 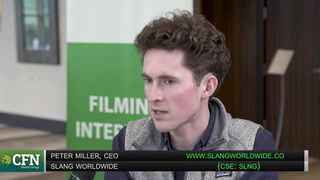 CFN Media interviews Can of Bliss CEO Mat Fogarty at Lift 2019. 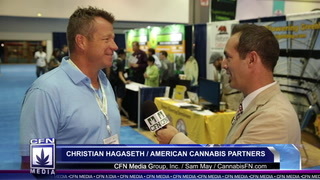 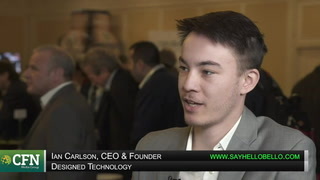 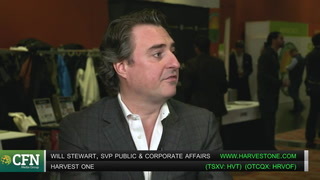 CFN Media interviews Harvest One (TSX-V: HVST) at the Lift Expo. 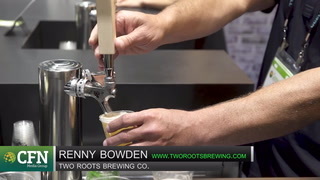 CFN Media Interviews Hill Street Beverage Co.
CFN Media interviews Hill Street Beverage Co. (TSX-V: BEER) Chairman & CEO Terence M. Donnelly at O'Cannabiz. 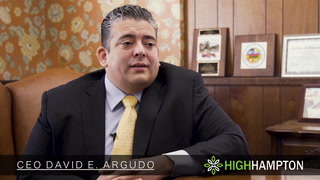 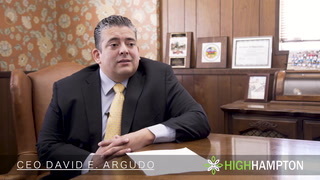 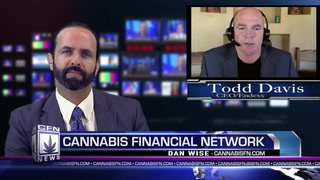 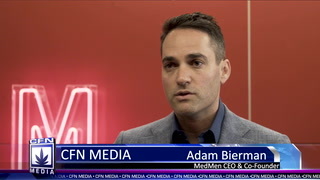 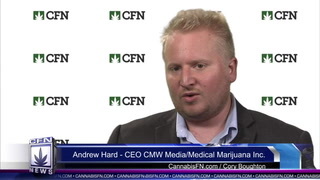 CFN Media interviews 100 THX VP Marco Aiello at O'Cannabiz. 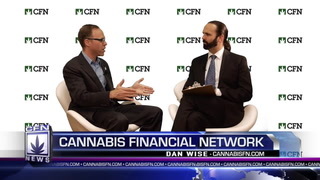 CFN Media interviews Leafwire Co-Founder and CEO Peter Vogel at O'Cannabiz 2018. CFN Weekly attends O'Cannabiz 2018. 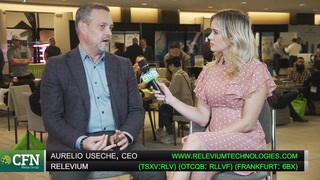 CFN Media Interviews Relevium Technologies (TSX-V: RLV) (OTCQB: RLLVF) CEO Aurelio Useche at O'Cannabiz 2018. 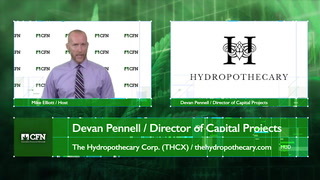 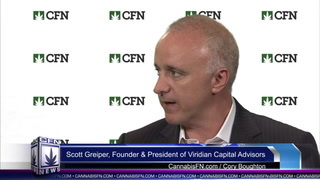 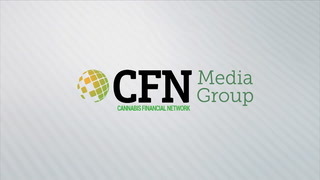 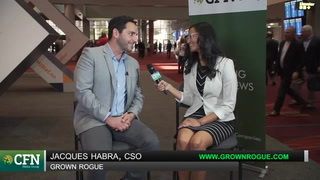 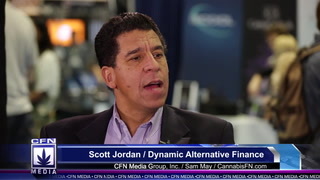 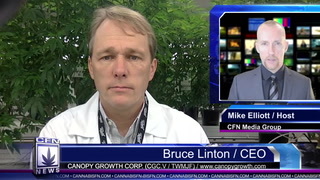 CFN Media Interviews Yield Growth Corp.
CFN Media Interviews Yield Growth Corp. (CSE: BOSS) and Urban Juve at O'Cannabiz 2018. 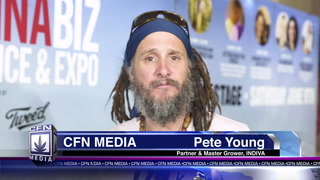 CFN Media interviews Valens GroWorks (CSE: VGW) Head of Business Development Kayla Mann at O'Cannabiz 2018. 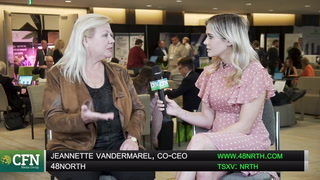 CFN Media interviews 48North (TSX-V: NRTH) Co-CEO Jeannette Vandermarel. 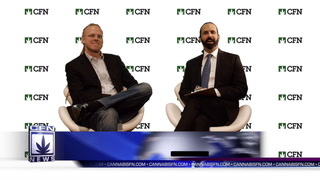 CFN Media interviews Paragon CEO Jessica Versteeg at the 2018 MJ Biz Con. 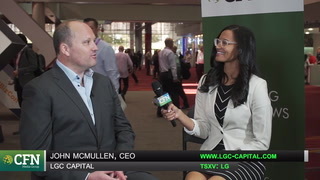 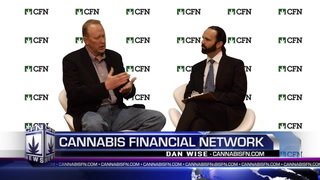 CFN Media interviews JGC Capital CEO John McMullen at the MJ Biz Con 2018. 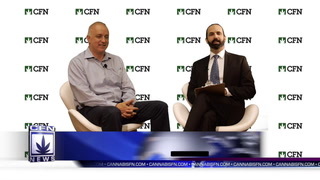 CFN Media interviews Michael Berger, Founder of Technical 420, at MJ Biz Con 2018. 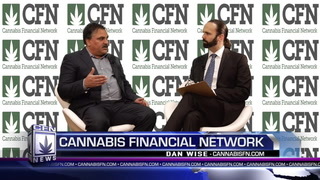 CFN Media interviews Prad Sekar, CEO of CB2 Insights, at Cannabrunch 2018. 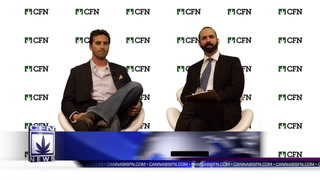 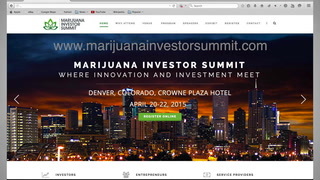 CFN Media Interviews Verano Holdings Inc.
CFN Media interviews Verano Holdings Co-Founder and CSO Sammy Dorf at the 2018 MJ Biz Con. 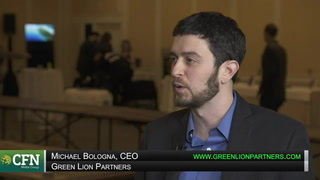 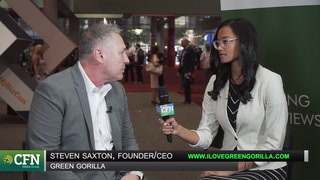 CFN Media interviews Steven Saxton, Founder and CEO of Green Gorilla, at the 2018 MJ Biz Con. 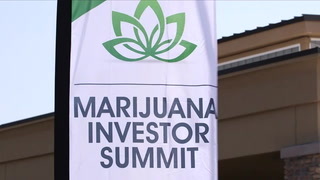 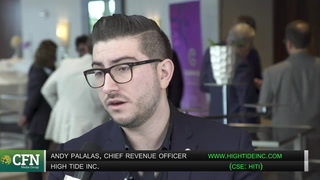 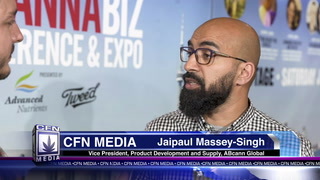 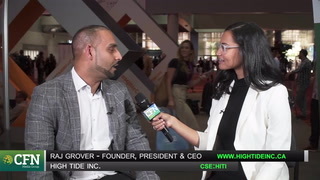 CFN Media Interviews Raj Grover, Founder and President of High Tide Inc. (CSE: HITI) at the MJ Biz Con 2018. 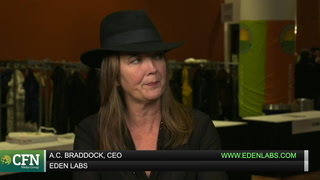 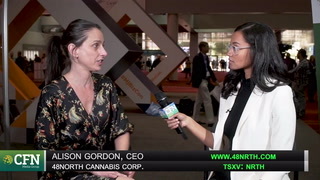 CFN Media interviews 48North CEO Alison Gordon at the 2018 MJBizCon. 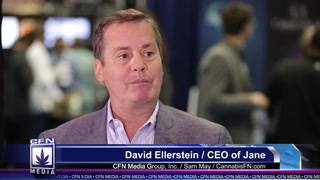 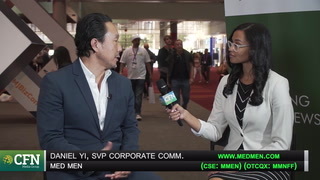 CFN Media interviews Daniel Yi, SVP of Corporate Communication at the 2018 MJBizCon. 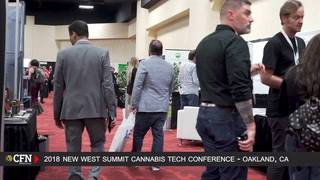 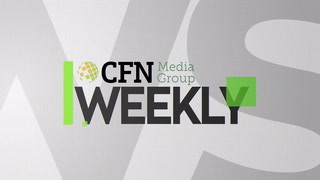 CFN Weekly attends the 2018 New West Summit and interviews some of the key players. 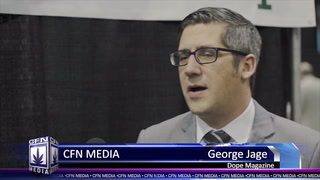 CFN Media interviews GoFire VP of Operations Max Schnurrbnberger at the 2018 New West Summit. 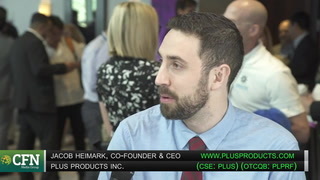 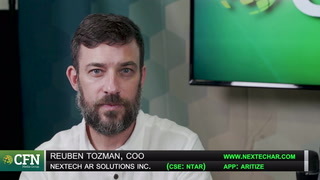 CFN Media Interviews NexTech AR Solutions Inc.
CFN Media interviews NexTech AR solutions Inc. (CSE: NTAR) COO Reuben Tozman at the New West Summit 2018. 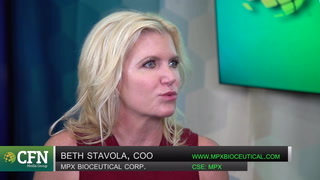 CFN Media interviews MPX Bioceutical Corp. (CSE: MPX) COO Beth Stavola at the CWCB Expo 2018. 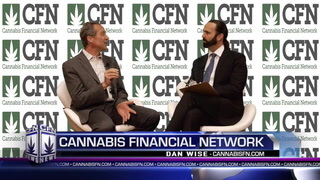 CFN Media Interviews Jane Technologies Inc.
CFN Media interviews Jane Technologies Inc. CEO Socrates Rosenfield at the 2018 New West Summit. 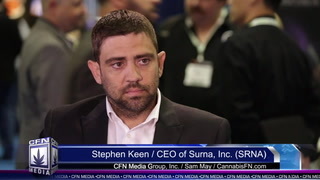 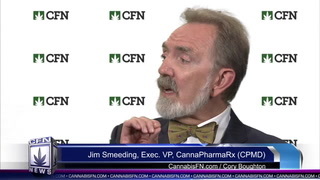 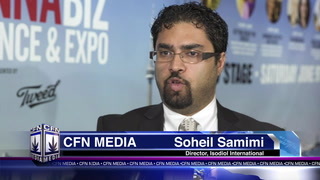 CFN Media Interviews Sunniva Inc.
CFN Weekly at the 2018 CWCB Expo in Los Angeles, CA. 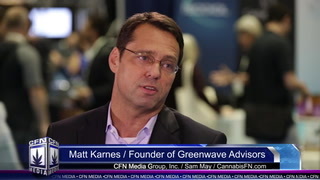 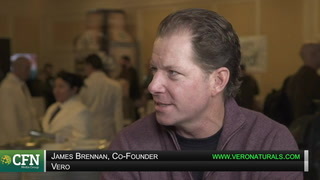 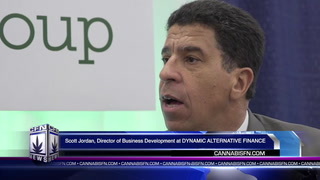 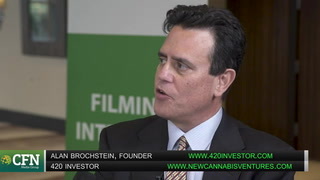 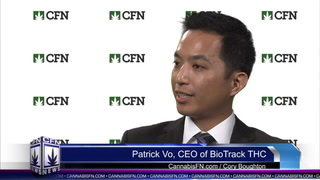 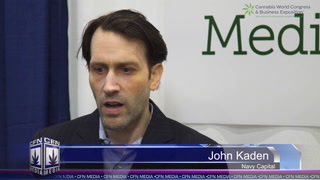 CFN Media Interviews Kris Krane of 4Front Ventures at the Boston NCIA CannaVest Conference in February of 2019. 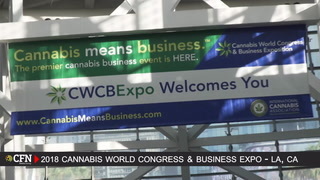 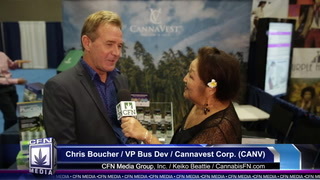 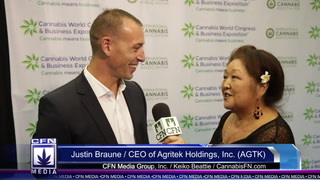 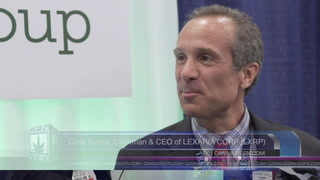 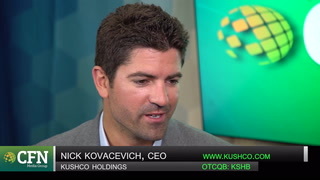 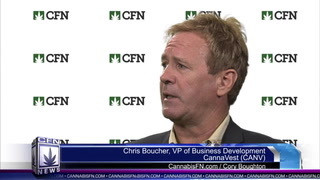 CFN Media Interviews Nick Kovacevich, CEO of KushCo Holdings Inc. (KSHB) at the 2018 CWCBExpo in Los Angeles. 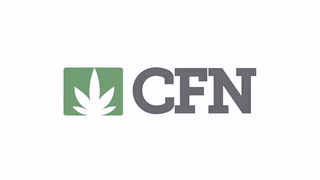 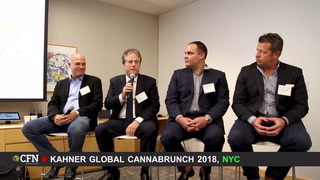 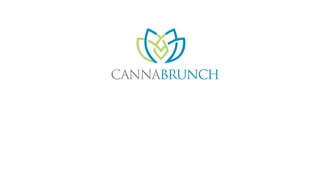 CFN Weekly takes a look at Cannabrunch NYC 2018. 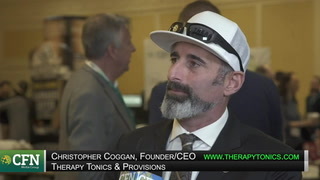 Rubicon Organics™ was a major sponsor of the 2018 International Surf Festival in Los Angeles. 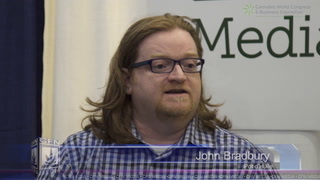 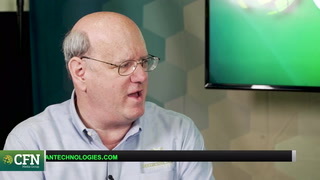 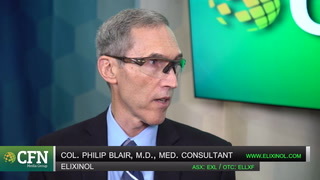 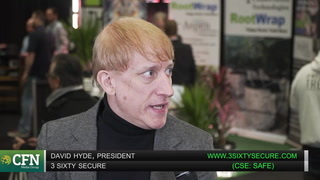 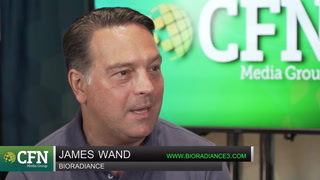 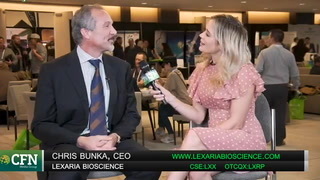 CFN Media interviews James Wand of Bioradiance at the NCIA conference in July 2018. 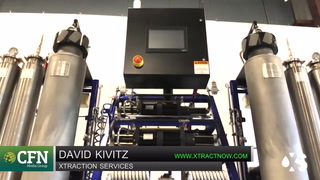 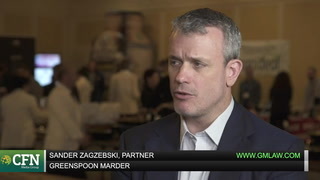 CFN Media interviews David Kivitz of Xtraction Services at the NCIA conference in July 2018. 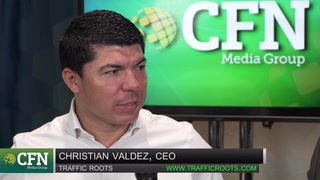 CFN Media interviews Christian Valdez of Traffic Roots at the NCIA conference in July 2018. 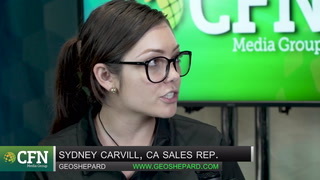 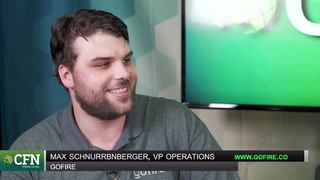 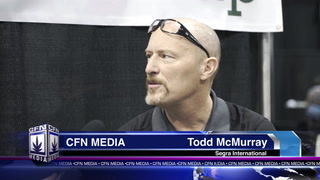 CFN Media interviews Sydney Carvill, CA Sales Rep at Geoshepard, at the NCIA Conference in July 2018. 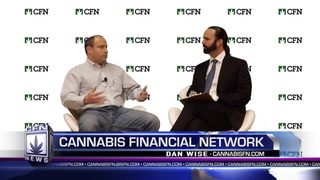 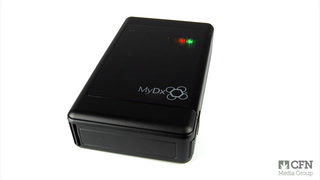 CFN Media interviews MyDx Inc. (MYDX) Founder Daniel Yazbeck and Erai Beckman at the NCIA Conference in July 2018. 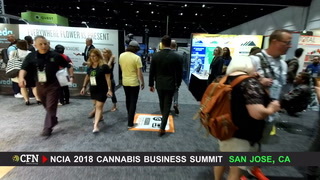 Brandy Keen at the Surna booth at NCIA San Jose, July 2018. 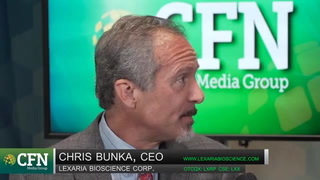 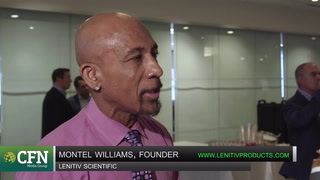 CFN Media Interviews Dean Petkanas of Kannalife Sciences Inc. at its LA studio. 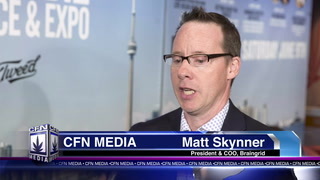 CFN Media interviews ​Matt Skynner, President & COO of Braingrid at the O'Cannabiz Expo in Toronto on June 8, 2018. 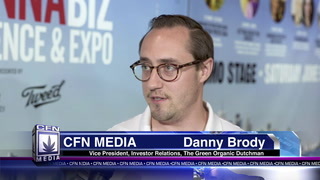 CFN Media Interviews Danny Davis, Founder & Chairman of Convectium at the O'Cannabiz Expo in Toronto June 8, 2018. 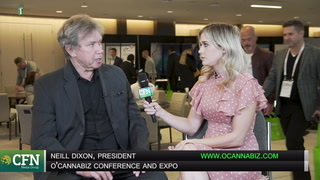 CFN Media Interviews Alison Gordon of 48North Cannabis Corp.
CFN Media Interviews Alison Gordon of 48North Cannabis Corp. at the O'Cannabiz Expo in Toronto June 8, 2018. 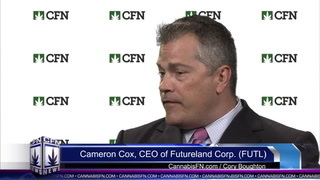 CFN Media recently sat down BLOCKStrain Technology Corp CEO Robert Galarza to discuss their innovative technology (TSX: DNAX). 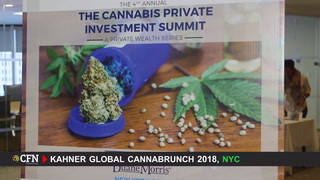 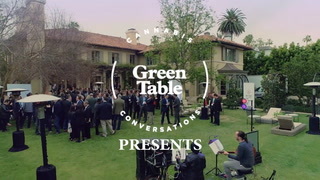 Green Table Global Conference - The Business of Cannabis - Beverly Hills 2018. 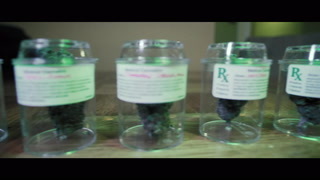 Produced by PROHBTD. 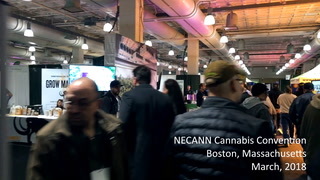 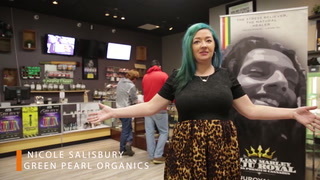 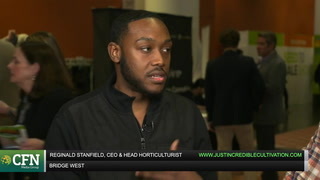 Highlights from the NECANN Cannabis Convention in Boston Massachusetts in March 2018. 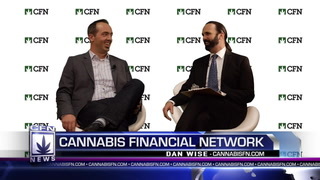 CFN Media Interviews Jared Mirsky of Wick & Mortar at the NCIA Seed To Sale 2018. 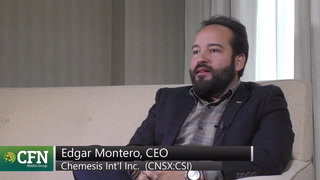 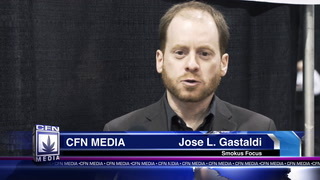 CFN Media Interviews Jose Gastaldi of Smokus Focus at the NCIA Seed To Sale 2018. 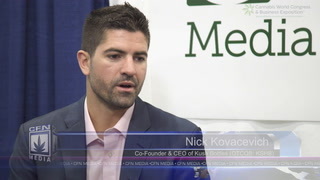 CFN Media inteviews Nick Kovacevich of Kush Bottles. 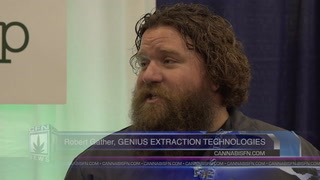 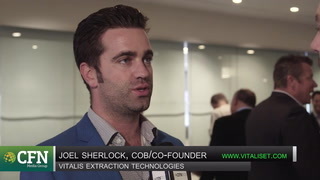 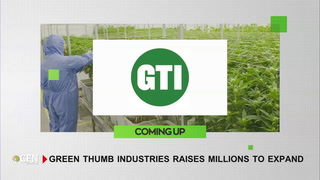 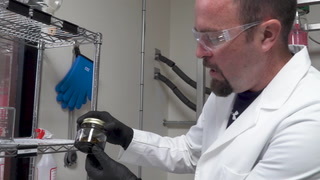 CFN Media interviews Robert Gather of Genius Extraction Technologies. 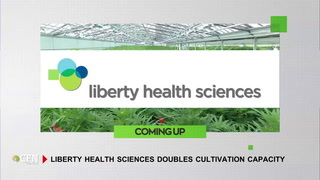 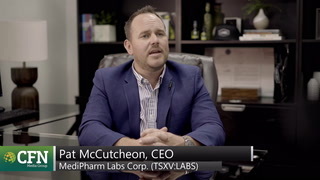 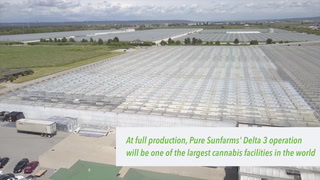 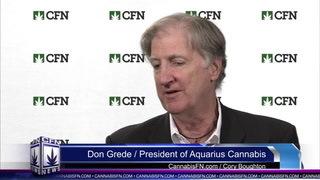 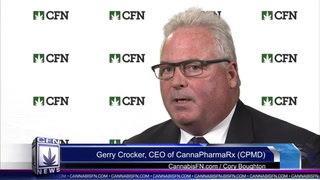 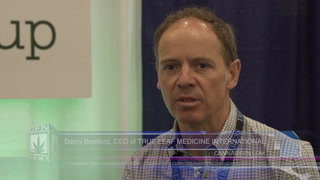 CFN Media interviews Darcy Bomford, CEO of True Leaf Medicine International. 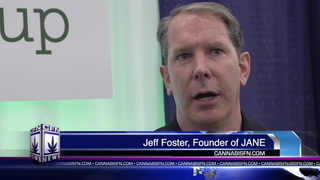 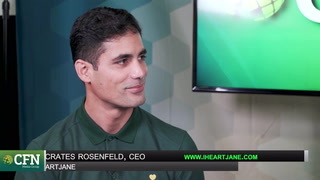 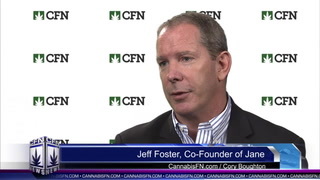 CFN Media interviews Jeff Foster, Founder of JANE. 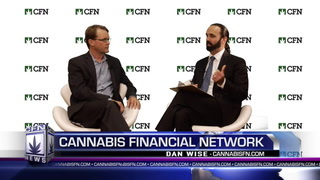 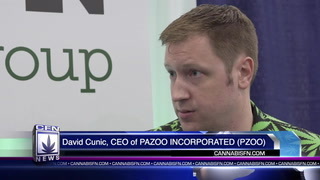 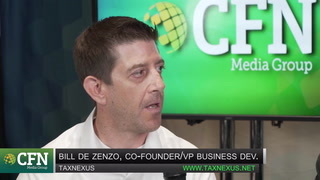 CFN Media Interview with David Cunic of Pazoo Inc.
CFN Media interviews David Cunic, CEO of Pazoo Inc.
CFN Media Interview with Chris Bunka of Lexaria Corp.
CFN Media interviews Chris Bunka, Chairman and CEO of Lexaria Corp.
CFN Media interviews Scott Jordan, Director of Business Development at Dynamic Alternative Finance. 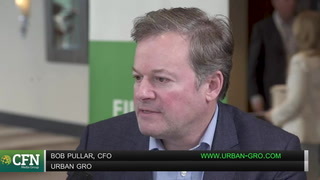 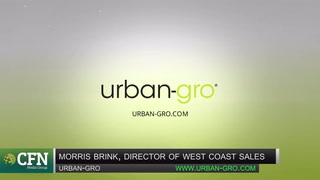 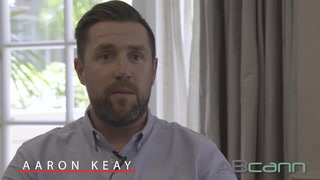 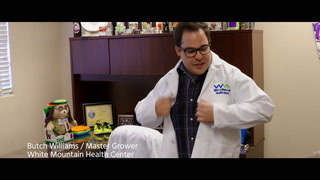 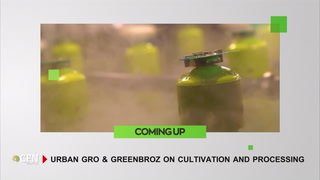 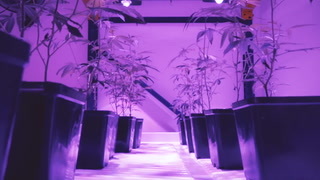 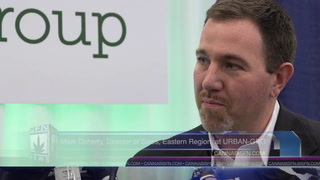 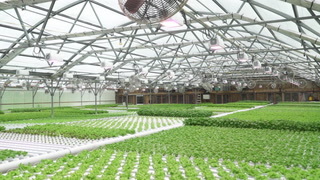 CFN interviews Mark Doherty, Director of Sales, Eastern Region at Urban Gro. 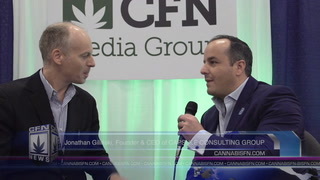 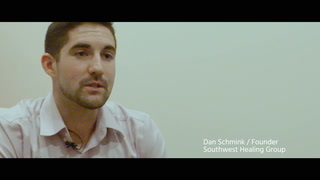 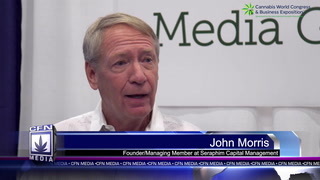 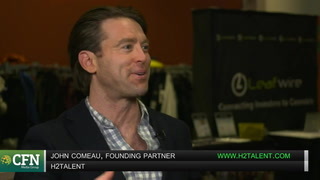 CFN Media interviews Jonathan Gilinski, Founder & CEO of Capsule Consulting Group. 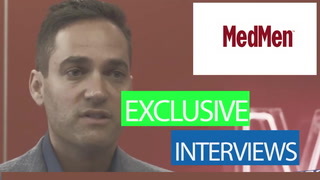 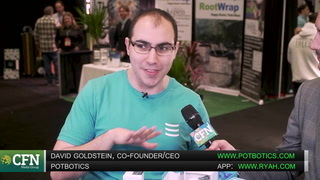 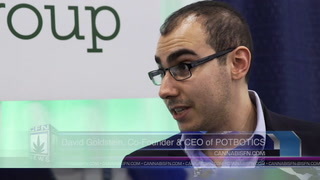 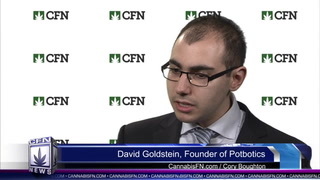 CFN Media interviews David Goldstein, Co-Founder and CEO of PotBotics. 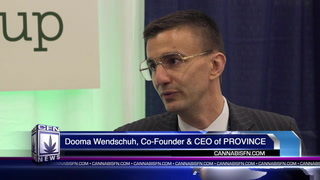 CFN Media interviews Dooma Wendschuh, Co-Founder and CEO of Province. 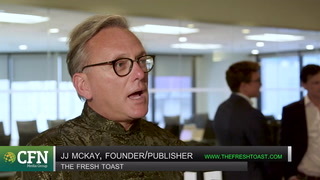 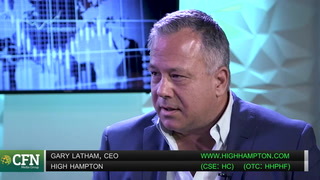 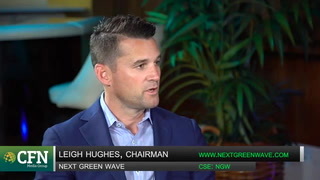 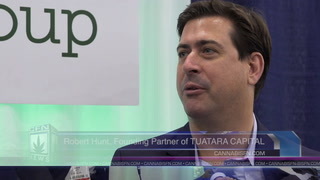 CFN Media interviews Robert Hunt, Founding Partner of Tuatara Capital. 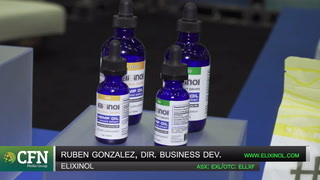 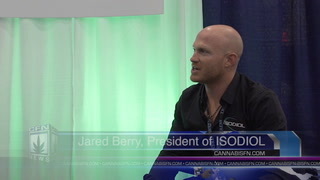 CFN Media sits down with Jared Berry, President of ISODIOL. 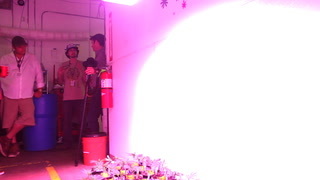 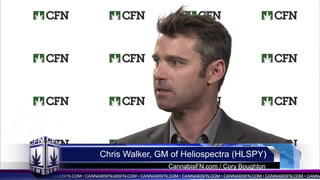 Heliospectra AB develops innovative LED lighting solutions leveraging its extensive light spectrum and intensity research. 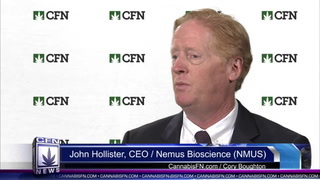 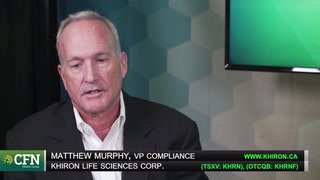 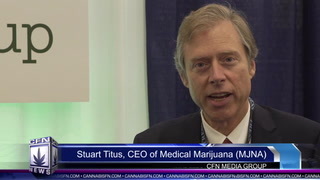 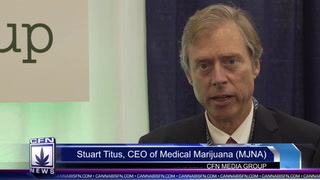 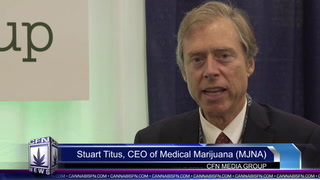 CFN Interview with Andrew Hard - CEO CMW Media/Medical Marijuana Inc.
CFN Interview with John Hollister, CEO of Nemus Bioscience, Inc..
CFN Technical Analysis / CrowdGather, Inc.